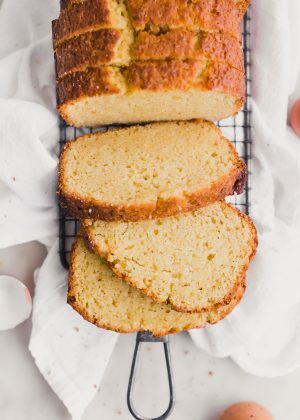 Today’s recipe is the simplest one bowl lemon olive oil pound cake ever! Perfectly tender and moist crumb cake that’s perfect for brunch, or dessert! Did I just say olive oil pound cake? Oh yes, I did. Olive oil. This stuff isn’t just for making savory dishes. It pairs so beautifully with lemons and a few select spices. And we use just enough olive oil to make the pound cake incredibly moist and tender. 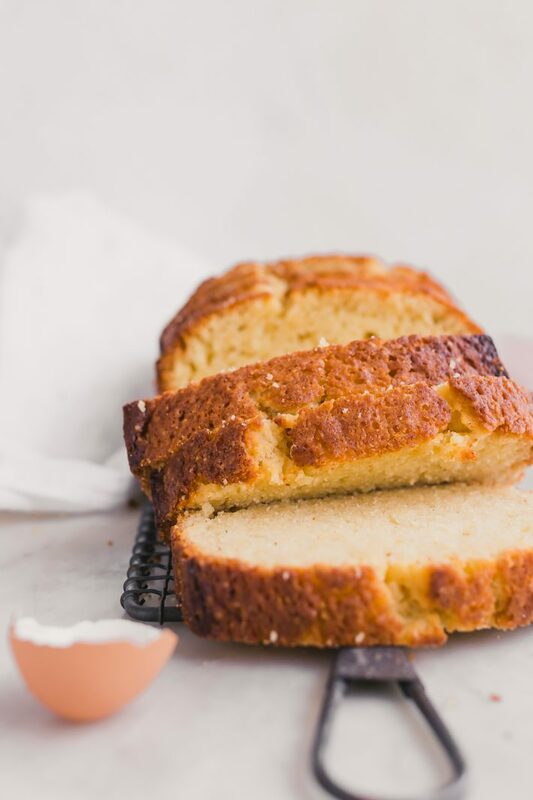 Today’s olive oil pound cake recipe inspired by our upcoming trip to Italy! Can you tell I’m already dreaming about consuming my body weight in cheese, pasta, and pizza? I’m knee-deep in researching the best places to eat, things to do, and what to see and as I do all of this, I’d love to hear restaurant recommendations or activities! Don’t ask my husband how many times he’s caught me practicing random phrases in Italian that I had Google translate for me. As I put together our itinerary, I can’t help but take a peek at the menus of the restaurants I’m researching. And that brings to me to an important question. When is it too early to decide what you’ll be ordering at a restaurant? Would you say just over a month is too early? I’m already pretty set on what I’ll be getting at quite a few places. But as I look through these menus, I keep getting all these ideas, and before I’ve even tasted all these offerings, I’m over here already making us risotto. Just the other day I finished booking our stay on the Amalfi coast which lead me to lemons. I’m told I need to eat any and everything with lemons while I’m there! And then I thought what’s more Italian than olive oil pound cake scented with lemons? Don’t even ask me what’s going to happen when I’m back. Not only is it acceptable here at our house, but it’s also encouraged. It’s not something that happens all the time, but when I’ve got an olive oil pound cake loaf (or three to be accurate,) bad things are bound to happen. 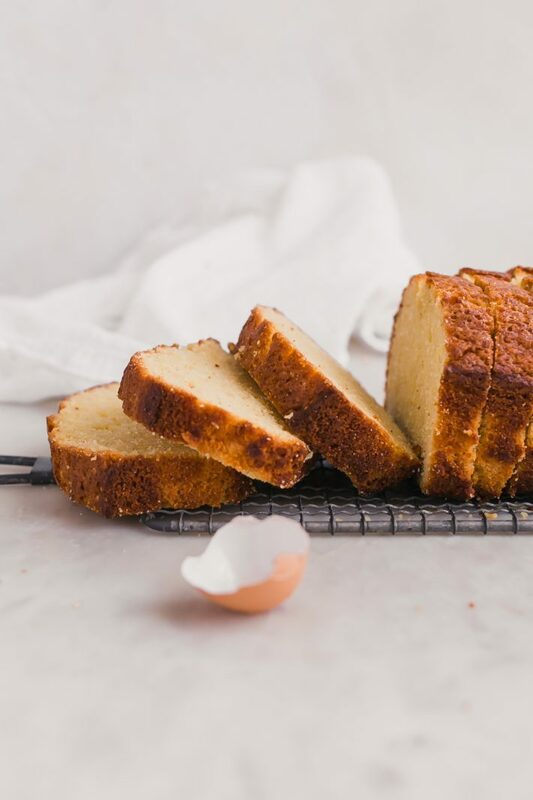 Last week I made a few of these lemon olive oil pound cakes. The first one, I started it off with all your usual suspects, a little flour, baking powder, granulated sugar and then I decided that yogurt was the way to go with this one and while the pound cake was tasty, both hubby and I preferred the second version I made, which I’ll get to in just a second. 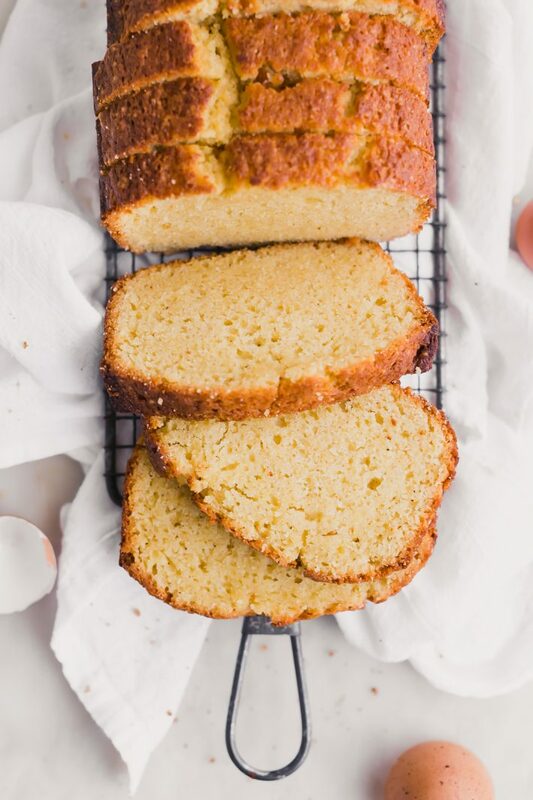 The first time I made this lemon olive oil pound cake, I shared a picture over on insta, and within minutes I had messages from people asking for the recipe. This makes my heart so happy! As the olive oil pound cake was cooling, I noticed that the center of the pound cake started to sink. Two things cause this to happen usually. 1.) the oven temperature wasn’t correct (it was either too high or too low for this type of cake) and 2.) too much leavening which caused the cake to rise rapidly but it couldn’t support the weight, and therefore it collapsed in on itself. WHAMP WHAMP. Even with this flaw, the olive oil pound cake was gone in less than 24 hours. I split the loaf with my parents, our friends, and left just enough for me to taste and ponder over how I was going to rework this. The second time I made this, I reduced the baking powder and kept everything else the same. Again, it was a bust. Though delicious, it once again sank in the middle. The third time I made this pound cake, I swapped the yogurt for milk and added a squeeze of lemon juice to it. I threw in a dash of nutmeg and a smidge of cinnamon just the way I had in the first batch and voila! 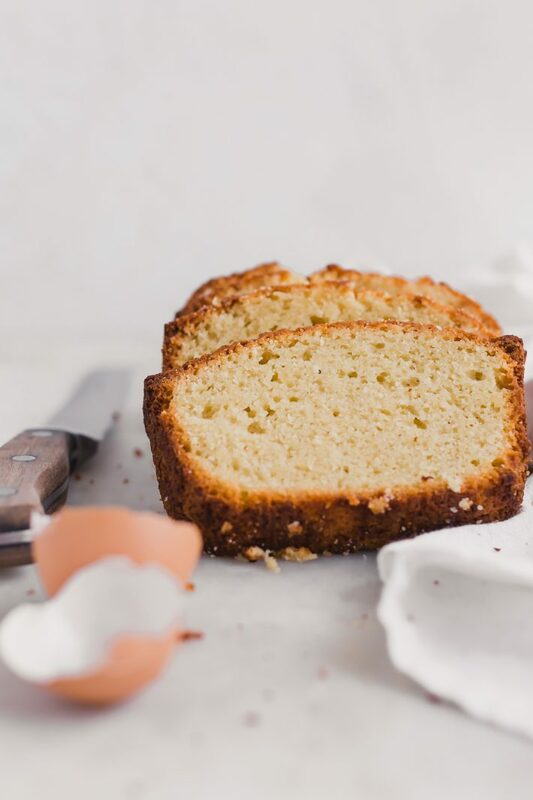 The crumb on this pound cake was tender and rich. 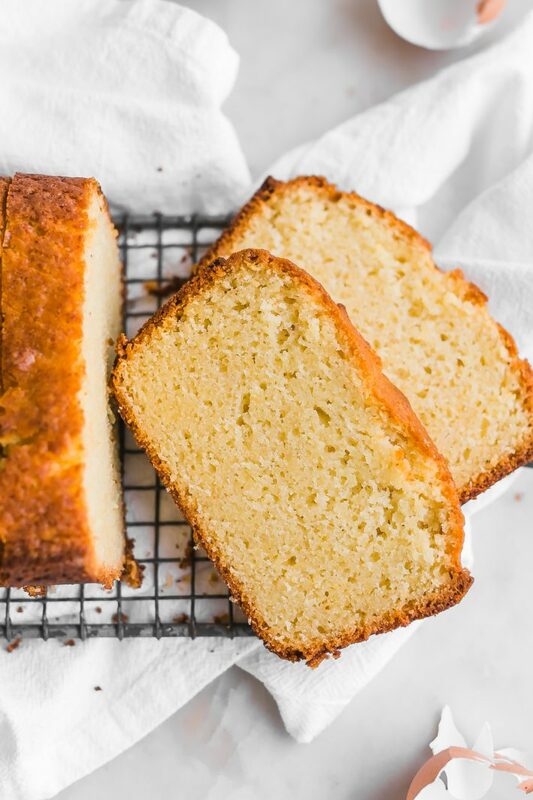 This olive oil pound cake will stay super moist for days and is light in texture. Not at all dense the way you expect an olive oil pound cake to be. 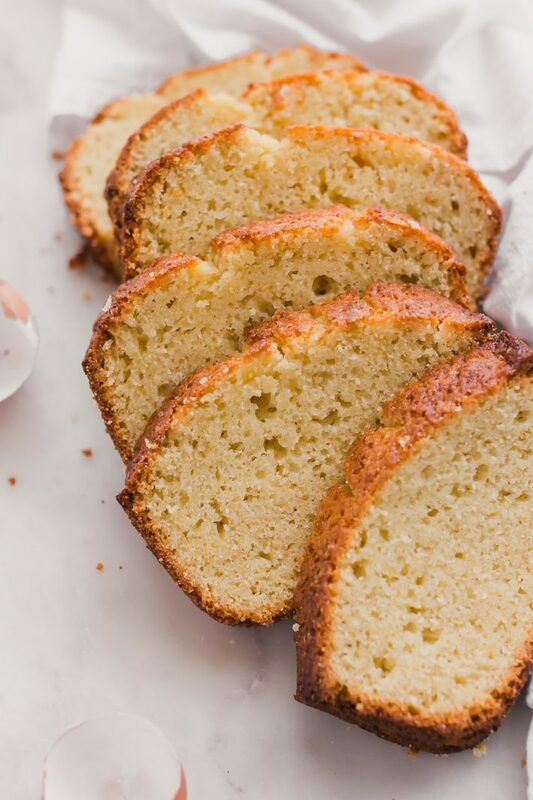 The spices are entirely optional for today’s lemon olive oil pound cake recipe, but I promise you, I’ll never make this without them because they make the whole house smell DIVINE. Made using ONE BOWL. I repeat, just ONE BOWL. What totally got me was that Anees loves this olive oil pound cake too. I mean that says a lot considering there isn’t an ounce of chocolate or mocha flavored anything in here! Side note: I legit had a talk with him about trying lemon flavored gelato while we were in Amalfi. I mean, you MUST. I say we make olive oil pound cake a regular breakfast item. STIR: In a large mixing bowl, whisk the olive oil, sugar, eggs, vanilla, lemon juice and milk. When combined, stir in the lemon zest, baking powder, salt, nutmeg, and cinnamon. Fold in the flour until *just* combined. If you overmix, the pound cake will come out tough. BAKE: Pour the prepared batter into your loaf pan and bake for 55-65 minutes or until a toothpick comes out mostly clean. Cool the pound cake for roughly 30 minutes on a wire rack. Remove from the pan, and let cool to room temperature (about another 30 minutes.) Sometimes, I like to serve this dusted with a light coating of powdered sugar before slicing and serving!